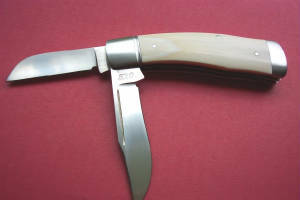 Original designs in traditional slipjoint folding knives. Each knife handcrafted using fine materials, processes and quality heattreating. Blades are constructed of stainless ATS-34, BG-42, or D2 and or O1 depending on batch or request. All airquenched steels are cryoquenched or frozen in the hardening process to produce a dense and durable blade. All blades are hardness tested in a commercial lab. Handle materials are pinned and bonded using strong permanent adhesive epoxy and thus backed by my warranty. " If any component of the knife fails in anyway during my lifetime I will repair or replace it". 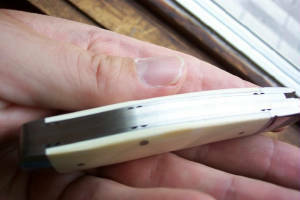 This applys to any knife material or component and of course does not include normal wearing. 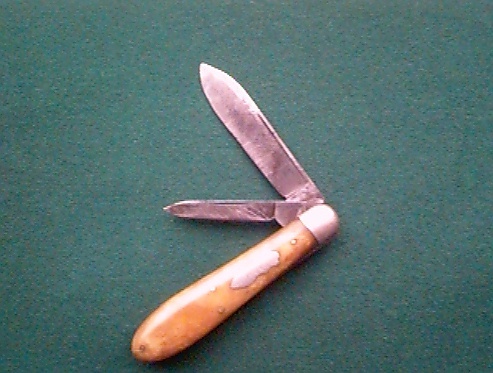 Something special about a pocketknife that speaks tradition. I used to think that fine knives were those of the mass produced type until I learned that there is nothing finer in a knife then the quality , detail and finish that can be imparted one at a time by the skill of the hand. I have always been fascinated with antique and custom cutlery. Theres even more satisfaction for me in the making of my own knives. 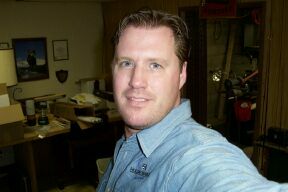 I own customs from some of the great makers and have observed processes used by several of them. Its a pleasure for me to make an original piece, each knife is an adventure and a new challenge and I strive to become more well rounded with each new pattern or design. Antique Northfield teardrop Jack Ivory..Isnt it a beauty? What is the content of popular knife steels?